So very proud of my Jayde. 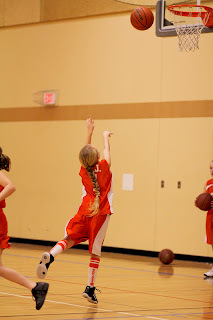 She has been having such a great season with her first year of basketball. She finally got her basket this game (in fact she got two!) She was on cloud nine for the rest of the day! Here she is warming up before the game.